Lewis Martineé was one of dance music's most dominating forces in the mid to late '80s. 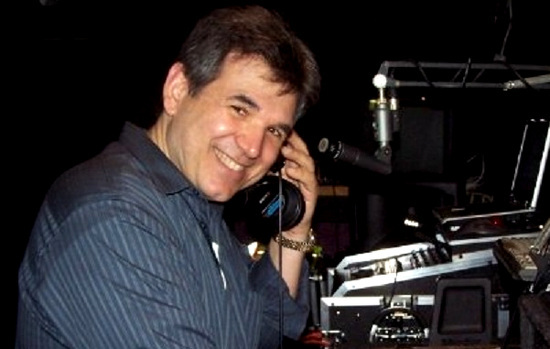 An innovative producer and songwriter, Martineé created Exposé, the first group to have four Top 10 hits on the Billboard Hot 100 chart from its debut album. Though they would evolve into a more pop-oriented kind of act, much of Exposé's early material was top-to-bottom freestyle. 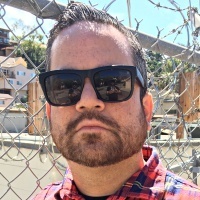 That's not surprising since—along with fellow producers like Chris Barbosa, Tony Moran, and Stevie B—Martineé was one of the architects of the freestyle sound. 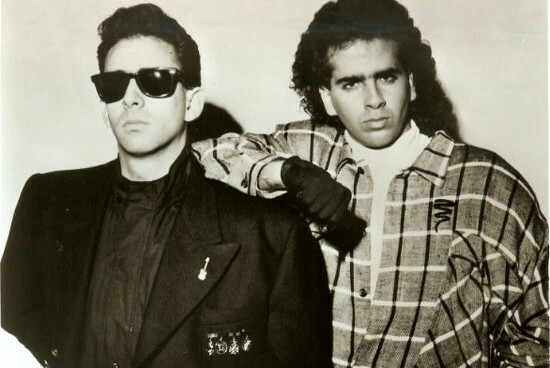 In addition to writing, producing, and forming Exposé, the Miami-based Martineé also put together the freestyle duo Sequal, and was behind other hits for such artists as Debbie Gibson, Pet Shop Boys, Olga, and Paris by Air, among others. Earlier this month, I had the pleasure of chatting with Martineé about his career, and got the lowdown on some of his most successful tracks. Tell me a bit about your childhood and how music entered your life. When I was a kid, I listened to a lot of rock music, and I also played drums in a rock band. I was the first one in my family to be a musician. 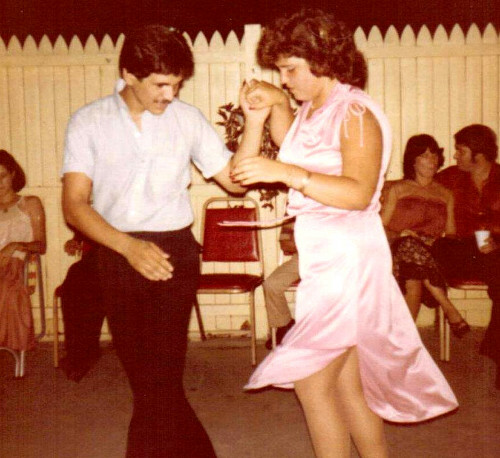 My parents were born in Cuba, and they never really did anything more than dance [laughs]. I remember listening to a lot of radio when I was little. Whenever I would get money, instead of buying toys, I would go buy a record. I'm talking about when I was 5 or 6 years old. At what point did you start figuring out the technical side of things in relation to music? I was definitely playing music long before I decided to start recording. I starting playing in bands when I was 12 or 13. First I played congas, and then I played drums. The way I started recording was I would get two reel-to-reel machines with a mixer and record music on one of them. After that, I would record music on the other machine and start adding more and more stuff, back and forth. After a while of doing that, the tapes start sounding deteriorated, but that's all I had to work with then. Yeah, I guess that's the biggest drawback of recording on actual tape. Exactly, but once I started going into actual studios, I already had a good idea of what to do since I was doing it at home for so long. So you never took any kind of formal training classes when it came to recording? Yeah, I figured it out on my own. Music came naturally to me. Timing also came pretty natural to me. You began releasing records in 1983 via your Pantera Records label. Tell me a bit about how you got started. I put together a group called Techno Lust and I did a song called "Woman," which I did on my own. That record did really well, so this guy Frank [Diaz], and another guy Ismael [Garcia], joined up with me and we started Pantera. But I had already done "Woman" by the time Pantera happened. What was your process like working with singers in the studio? Did you provide the guide vocals for the sessions? I would do all of the guide vocals back then, and I still do that today. That's interesting, especially since most pop/dance producers use studio singers for guide vocals. Since most of the singers you worked with during those early years were first-timers, did it prove to be a lot of work for you? You know, not really, no. They were local people who didn't have a lot of experience, but it was always about finding the right person for a specific song. There were situations where a singer didn't work for a certain song, but then they would be great on another song. A lot has been written about the formation of Exposé, so I wanted to get your take on how it all began. To the best of my memory, I was always working in the studio I had with Frank, which was called 40/40. It was a little eight-track studio. Anyway, I would write a lot of stuff in the studio, and during that time I wrote "Point of No Return," "I Know You Know," and other songs that eventually went to Sequal and other groups that I would end up having. Everyone kept on telling me that "Point of No Return" sounded really good. My girlfriend at the time, Aléjandra [Lorenzo], who went on to be known as "Alé," she was doing the demos for these songs. The reason I had her doing that was that she would sing in the car along to the radio and I thought she sounded really good. So, after the "Point of No Return" demo was done, I was searching for a singer who sounded like her for the record version. I was finally like, "Why can't I just use her?" I love these kinds of stories! I remember thinking Alé's vocal on the original version of "Point of No Return" was really unique. It was like she had some kind of strange accent when she sang that. [Laughs] yeah, she actually had a really thick Miami accent. That's what that was. Yeah, but she really had some kind of magic on that demo stuff. So, yeah, I decided Alé would be in this group we were forming. We also had another singer we were bringing into the group, but she wasn't working out. Frank was dating this girl named Laurie [Miller] who was helping us with the choreography for the group, so we had her replace the other girl. The third original member of the group was Sandra Casañas [Sandee]. I don't remember how I found her, but maybe someone had told me about her. I can't remember right now. Anyway, Alé, Laurie, and Sandee were in the first version of the group. They were known as X-Posed at that point. Yeah, the Exposé name came a little bit after. 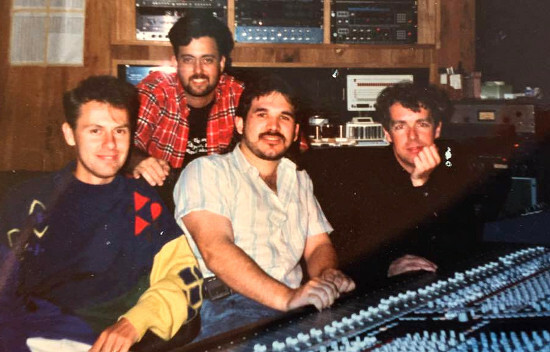 We did "Point of No Return" and "Exposed to Love," and then right when Arista Records told us they wanted to make an album with us, I told them, "Oh, by the way, I'm going to replace all the girls." Seriously [laughs]. Why did you decide on changing the lineup of Exposé? Well, Laurie and Sandra were having problems, which I don't remember what they were. Personal problems and stuff. With Alé, she hated to fly, so she didn't really want to be in the group because there would be a lot of traveling. Between Alé and Laurie, they found Jeanette [Jurado] after the group had done a show in California. Jeanette was singing in a group called Sea Breeze, which was one of the opening acts on the show. They called me and said, "Lewis, you have to fly out here and see this singer. She would be great to replace us!" Anyway, I went and signed Jeanette. A friend of mine told me about Ann [Curless], and I signed her right away after hearing her sing. There was a club down in North Miami called G Willikers where I first saw Gioia [Bruno] sing. I fell in love with her voice and signed her to be the third member of Exposé. I know you had told Arista that you were changing the members of Exposé, but were you worried that you might have been messing up your chances with the label since they originally fell in love with the original version of the group? You know, I've always been a positive person, so I wasn't even thinking about that. I wrote the song "Come Go With Me" during that time and felt great about everything. The way that song happened was I was originally working on a song I had called "(C'mon) Feel the Need" and the verses weren't working, so I then wrote "Come Go With Me" with the verses from "(C'mon) Feel the Need." I then went back and wrote different verses for "(C'mon) Feel the Need" and it ended up going to Jermaine Jackson. Thanks, yeah, I love that song. I was always surprised that it didn't go far. I just think it didn't sound freestyle enough for people who liked my other stuff with Exposé. "Come Go With Me" ended up becoming a freestyle classic. It seems like you were firing on all cylinders during that time period. Around that time I also wrote the song "What You Don't Know." I remember sending it to Emilio and Gloria Estefan. I don't know if they ever listened to it, but I think it would have done really with her singing it. Since I didn't hear back from them, I ended up keeping the song for Exposé and it ended up becoming the title track to the second album. I'm excited because the label Cherry Pop is going to be reissuing the What You Don't Know album as a special three-disc set with a ton of stuff on it. It would seem that Arista Records felt a sense of relief once they heard "Come Go With Me." They were worried at first, but, yeah, they were really happy when they heard "Come Go With Me." By the time "Seasons Change" came out and went to #1, the label forgot about the first lineup of the group. Going back a bit, when you were writing the first batch of Exposé songs, were you also writing stuff for other groups—whether they were for your projects or outside companies? For example, you put together a duo called Sequal, which had a big hit with the song "It's Not Too Late." That one came out during Exposé's first wave of success. I already had the main workings of "It's Not Too Late" before Sequal existed. I called the group that because I looked at it like they were the sequel to Exposé. Why did you feel the need to create another group? In other words, why not just give "It's Not Too Late" to Exposé? Well, I wanted to do something different. I didn't want to copy the three girls in a group thing again. But you know what, I should have, because everyone else did after Exposé got big. With Sequal I went with the two girls. Let's see, Techno Lust was a man and two girls. Paris by Air was a girl and two guys. The Voice in Fashion was originally three guys. Yeah, the girl trio setup in freestyle became pretty common. You had The Cover Girls, Pajama Party, and a bunch of other groups with three girls in them. When Exposé and Sequal came out, they were all over NYC radio. Freestyle was massive in NYC and NJ, and obviously Miami. Well, as big as freestyle was in New York and Miami, California ended up being the biggest market for my groups. We would sell out an arena like Madison Square Garden in New York, but in California we would do three nights. Were you touring with the groups? I would go out for the first week to make sure everything was running fine, but then I would go back to the studio to work on new music. Someone outside of the freestyle world that you collaborated with during that period was the songwriter/producer Kashif. Sadly, he passed away recently. Arista put us together because he had a deal as an artist there. He was great to work with. Arista was really good to me. They also brought me the Jermaine Jackson and Jermaine Stewart projects. I'm very thankful to have worked with Arista and Clive Davis. One of the groups you mentioned earlier, The Cover Girls, was NYC-based and didn't come from your stable of artists. They were formed by a producer named Andy "Panda" Tripoli and Sal Abbatiello, a club owner and music promoter. You ended up working with the group in 1987. I'm still good friends with Sal and Andy. I remember them saying they wanted to come down to my studio. We had a blast hanging out. They wanted me to do a song for their group and I ended up writing "One Night Affair" specifically for The Cover Girls. So you didn't feel like you were working with the competition, so to speak? Nah, you know, I've never been like that. I believe in the notion that there is enough room for everyone. There's no reason to be territorial about this stuff. The same year of The Cover Girls track, you also produced a cut called "Play the Field" on Debbie Gibson's debut album, Out of the Blue. Debbie is a sweetheart. She came down to my studio in Miami to do the song. I love her. We still stay in touch. We're always talking about getting into the studio again to work on something, so hopefully that happens one day [laughs]. Were you keeping up with the other freestyle-based producers and listening to what they were doing? Yeah, I did, because I've always liked to go out dancing at clubs. I couldn't help but be around other freestyle music, and I always could figure out which producer had done a song because I knew everyone's style. If you listened to as much freestyle as I did back then, it was obvious how many producers were influenced by your work. I remember meeting the Latin Rascals after they released "Arabian Knights" and they said, "Hey, we did that song because we love 'Only in the Night' so much!" [Laughs] yeah, both songs had a similar [does a bass thumping sound]. One of the things I couldn't wait to ask you about was "Domino Dancing," the classic single you produced for the Pet Shop Boys in 1988. They are in my Top 3 favorite groups of all time, and I think that is one of their best tracks. I was a huge fan of theirs as well! Tell me about that collaboration and how it happened. Someone from their label called me and asked if I would be open to working with them. I remember I almost fell off my chair when he asked me that. I was like, "Yeah, I would even do it for free!" [Laughs] I was being serious! When they came into the studio, they had the melody and lyrics already written, so I added the music, obviously, 'cause it doesn't sound like anything else they've ever done. I ended up doing a remix that was very much freestyle, but the original version doesn't sound like that. I love the acoustic guitar solo on "Domino Dancing." Tell me about the studio musicians you used back then. I was friends with all of the musicians from the Miami music scene. Jorge [Barcala] and Fro [Froilan Sosa] from the group Nuclear Valdez did a lot of work for me. The guitar solo on "Domino Dancing" was done by a local guy named Nestor Gomez. The trumpet solo on that song was done by Tony Concepcion. Whoever was available at the time of a session is who I used. But, yes, they were all Miami guys who I loved working with. I would seriously love to work with the Pet Shop Boys again. How did groups like Paris by Air and The Voice in Fashion end up working with you? Paris by Air was a group that already existed by the time I worked with them, and the same thing for The Voice in Fashion. I just chose artists to work with based on if I liked the singer's voice or not. In both of the groups I just mentioned, you can hear how distinct their voices all are. That was the most important thing to me when working with an artist. There's a song I did with Paris by Air called "All Around the Sound" that I think is better than anything else we did together. As freestyle's popularity waned in the '90s, you branched out more into other styles of music. What I did a lot of in the '90s and '00s was to work with Latin artists to help them crossover to the dance market. I did that with Elvis Crespo a lot. All of his big songs, I made the American dance versions. You know, songs like "Suavemente" and "Pintame." I also did that with a Latin group called Son by Four, and a ton of other artists. I would help them get into the dance market here with my remixes. That must have been really exciting to be a part of. Got it. I wanted to ask you of all the artists you've worked with, who do you think should have been bigger? Oh, yeah, I have a bunch like that. There was a group called Rumorz that I worked with that was great. The album I did with them [Satisfaction Guaranteed] is something I still listen to and like a lot. The other group that comes to mind is 1st Impression. The song and album [Forbidden Lover] did great in Texas and California, but it hardly did anything in Miami or New York. I've been trying to be more active on Facebook these days. I haven't been too into social media because I'm always just happier being in the studio. But lately I've been putting stuff up on Facebook and Instagram. I understand that people are into that, so that's why I'm trying to be better about it. Musically, I have a rock group out of Europe called Escape December that I'm working with. I did some new music with Gioia that I think we might be putting out together. I'm definitely keeping busy. Your son, Lewis, is also a musician, right? Yes, he's in a group called Smle and they're doing great. He's got the energy I did back in the '80s. He's much more talented than me. He plays so many different instruments. He's like a genius when it comes to music. I'm really proud of him. Alright, before I let you go, if you had to pick one song from your discography that you are most proud of, what would it be? [Long pause.] Probably "Seasons Change," from Exposé. That one was kind of inspired by my life because I was turning 30 and I felt old for some reason [laughs]. I've never felt that way again, but turning 30 did that for me. So, "Seasons Change" is really about growing older. Head to Lewis Martineé's official Facebook page for more info on his upcoming projects.